(RW/RPA) (Indianapolis) 2007 - 2008, 2011 - 2013. Framable Color Prints and Posters. Digital Sharp Images. Aviation Gifts. Slide Shows. Frontier Airlines (2nd)-Republic Airlines (2nd) Embraer ERJ 170-100SE N871RW (msn 17000140) (Mountain Goat) SFO (Mark Durban). Image: 904885. 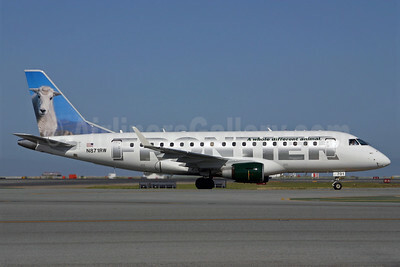 Frontier Airlines (2nd)-Republic Airlines (2nd) Embraer ERJ 170-100SE N872RW (msn 17000143) (Swan) SFO (Mark Durban). Image: 904886. 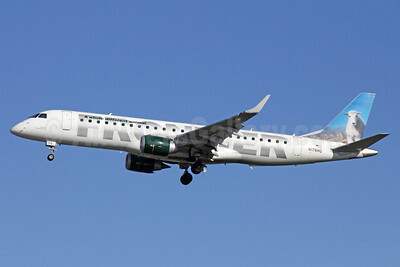 Frontier Airlines (2nd)-Republic Airlines (2nd) Embraer ERJ 170-100SE N873RW (msn 17000144) (Brown Owl) SFO (Mark Durban). Image: 904887. 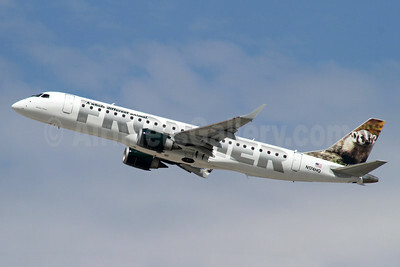 Frontier Airlines (2nd)-Republic Airlines (2nd) Embraer ERJ 170-100SE N874RW (msn 17000148) (Deer) SFO (Mark Durban). Image: 904888. 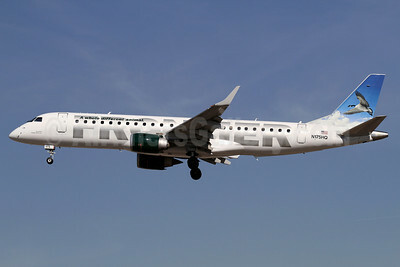 Frontier Airlines (2nd)-Republic Airlines (2nd) Embraer ERJ 190-100 IGW N161HL (msn 19000154) (Fawn) DCA (Brian McDonough). Image: 906107. Frontier Airlines (2nd)-Republic Airlines (2nd) Embraer ERJ 190-100 IGW N162HL (msn 19000231) (Red Wolf) DCA (Brian McDonough). Image: 906243. Frontier Airlines (2nd)-Republic Airlines (2nd) Embraer ERJ 190-100 IGW N162HL (msn 19000231) (Red Wolf) LAX (Michael B. Ing). Image: 906089. Frontier Airlines (2nd)-Republic Airlines (2nd) Embraer ERJ 190-100 IGW N163HQ (msn 19000255) (Red Fox) DCA (Brian McDonough). Image: 907801. 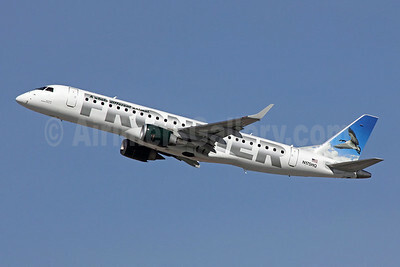 Frontier Airlines (2nd)-Republic Airlines (2nd) Embraer ERJ 190-100 IGW N163HQ (msn 19000255) (Red Fox) DCA (Tony Storck). Image: 907800. 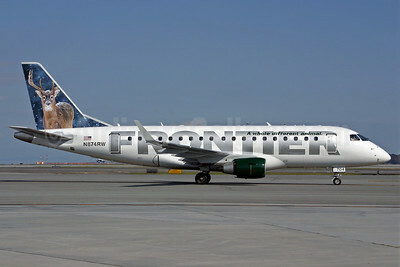 Frontier Airlines (2nd)-Republic Airlines (2nd) Embraer ERJ 190-100 IGW N164HQ (msn 19000275) (Hummingbird) DCA (Brian McDonough). Image: 906742. 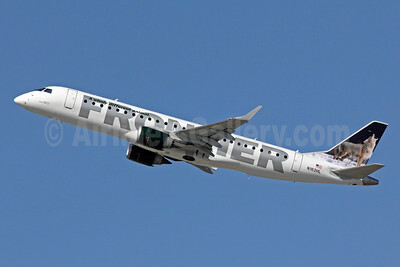 Frontier Airlines (2nd)-Republic Airlines (2nd) Embraer ERJ 190-100 IGW N164HQ (msn 19000275) (Hummingbird) YYZ (TMK Photography). Image: 913116. 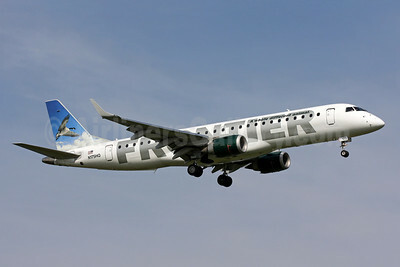 Frontier Airlines (2nd)-Republic Airlines (2nd) Embraer ERJ 190-100 IGW N166HQ (msn 19000166) (Puffin) DCA (Brian McDonough). Image: 906341. Frontier Airlines (2nd)-Republic Airlines (2nd) Embraer ERJ 190-100 IGW N169HQ (msn 19000188) (Owl) DCA (Tony Storck). Image: 907802. 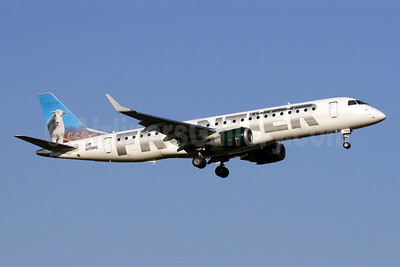 Frontier Airlines (2nd)-Republic Airlines (2nd) Embraer ERJ 190-100 IGW N170HQ (msn 19000191) (Bison) DCA (Brian McDonough). Image: 906304. Frontier Airlines (2nd)-Republic Airlines (2nd) Embraer ERJ 190-100 IGW N172HQ (msn 19000198) (Rabbit) DCA (Brian McDonough). Image: 910661. 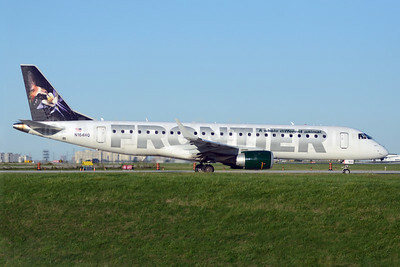 Frontier Airlines (2nd)-Republic Airlines (2nd) Embraer ERJ 190-100 IGW N174HQ (msn 19000211) (Wisconsin Badger) DCA (Brian McDonough). Image: 906305. 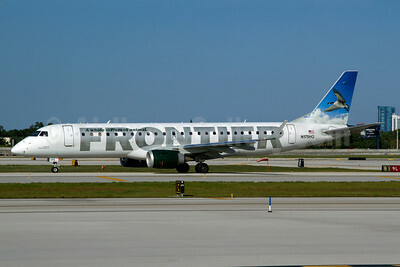 Frontier Airlines (2nd)-Republic Airlines (2nd) Embraer ERJ 190-100 IGW N174HQ (msn 19000211) (Wisconsin Badger) LAX (Ron Monroe). Image: 940357. Frontier Airlines (2nd)-Republic Airlines (2nd) Embraer ERJ 190-100 IGW N175HQ (msn 19000216) (Canada Goose) DCA (Brian McDonough). Image: 906273. 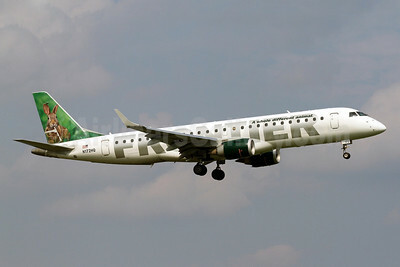 Frontier Airlines (2nd)-Republic Airlines (2nd) Embraer ERJ 190-100 IGW N175HQ (msn 19000216) (Canada Goose) FLL (Luimer Cordero). Image: 907910. 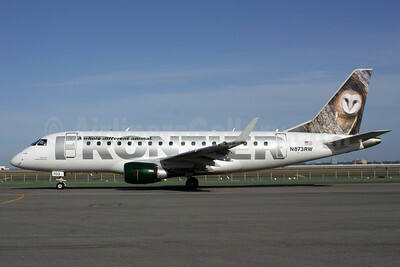 Frontier Airlines (2nd)-Republic Airlines (2nd) Embraer ERJ 190-100 IGW N175HQ (msn 19000216) (Canada Goose) LAX (James Helbock). Image: 905702. Frontier Airlines (2nd)-Republic Airlines (2nd) Embraer ERJ 190-100 IGW N175HQ (msn 19000216) (Canada Goose) LAX (Michael B. Ing). Image: 907803. 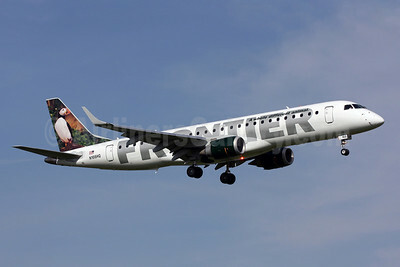 Frontier Airlines (2nd)-Republic Airlines (2nd) Embraer ERJ 190-100 IGW N176HQ (msn 19000461) (Mountain Goat) DCA (Brian McDonough). Image: 910662. 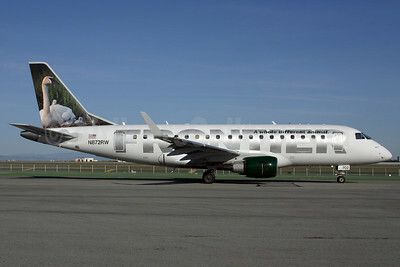 Frontier Airlines (2nd)-Republic Airlines (2nd) Embraer ERJ 190-100 IGW N176HQ (msn 19000461) (Mountain Goat) LAX (Michael B. Ing). Image: 913117.